Get ready for a cold, amazing once in a lifetime experience! Time for a new adventure. This year we will discover the possibilities of a new snowkite destination! Ready for some snow? 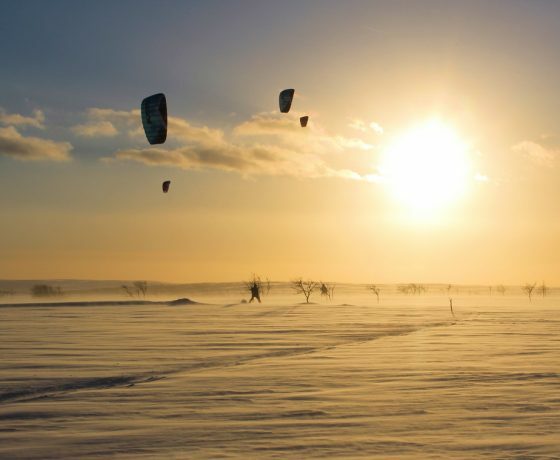 With its almost completely treeless expanses, Finland’s biggest wilderness, Kaldoaivi, is the ultimate location for a snowkite camp. You start your journey a cosy cottage in the tiny village of Nuorgram, located 500 kilometers north of the Arctic Circle. While it’s near to the Arctic Ocean it is also close to the Norwegian border and is is the northern most village in the EU. To find the perfect kite spots we will travel by kite and snowmobile to a variety of beautiful locations. Join us on a kite trek into the wilderness including overnight adventures in different accommodations. 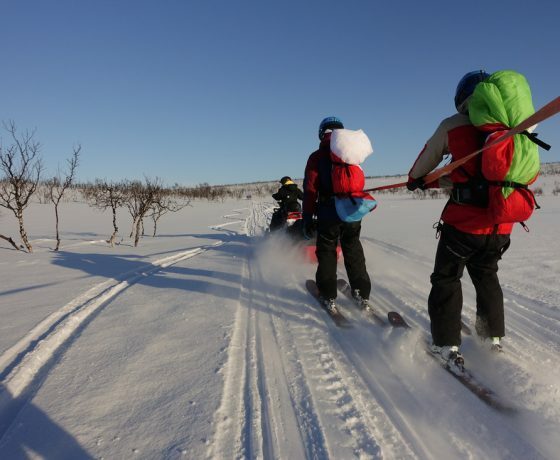 In this wilderness area, rarely visited by tourists you will experience; clean air, pristine snow and have a unique and unforgettable experience undisturbed by other groups. The only other visitors around are likely to be a heard of reindeer! If you are able to control a kite on intermediate level, we will learn you snow kiting in just a few hours. It’s not that hard, trust us. You can expect to travel 30 – 50km a day, depending on the weather conditions. Level: All kite levels (from independent with a kite) welcome! 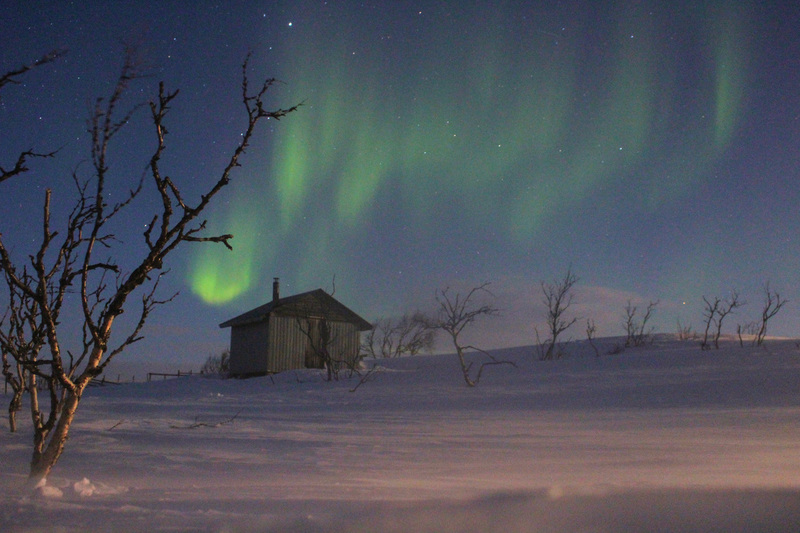 The Sámi peoples have inhabited the northern parts of Finland since prehistoric times. Still to this day reindeer herding is one of their main livelihoods and a way of life that still determines most of the Sámi lifestyle. Theses indigenous people of the north have learned to survive in its challenging weather conditions and to make their living out of its resilient wildlife. 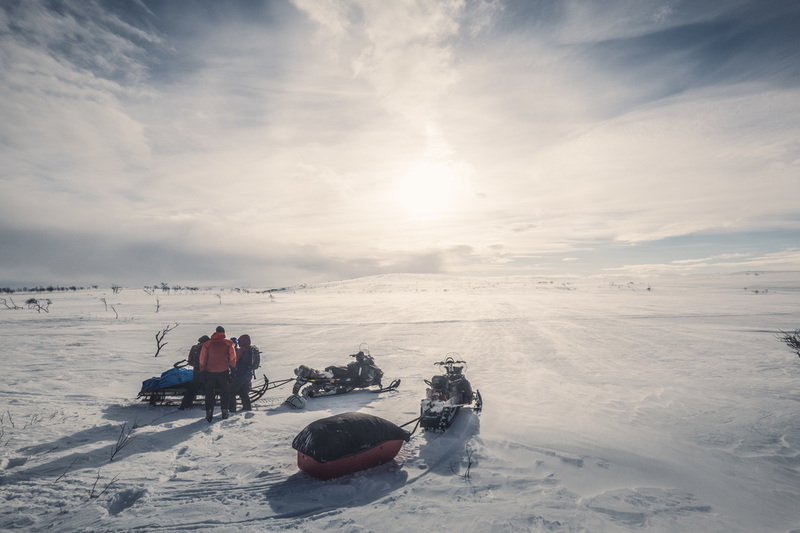 This is the lifestyle we will adapt during this camp – making the most of the wilderness of the Finnish Lapland. We have been snow kiting in the area for years, giving us time to learn the best spots to go and places to stay. We will travel by snowmobile to the best spot each day (depending on the wind and snow conditions), where we will set up camp with tipi tents heated by indoor stoves. There will always be a snowmobile around for safety. In the evening we come to the cosy and beautiful riverside cottages in Nuorgam. here we prepare a delicious organic dinner together. 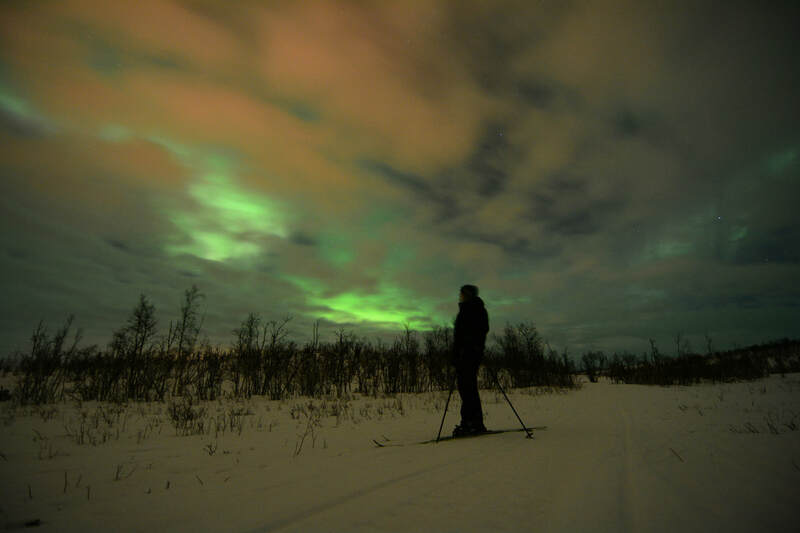 You can relax your muscles in the sauna or hot tub after a full day of kite action and with any luck you will see the northern lights. Here you will have shared rooms and modern amenities. Private rooms are an option for a extra fee. 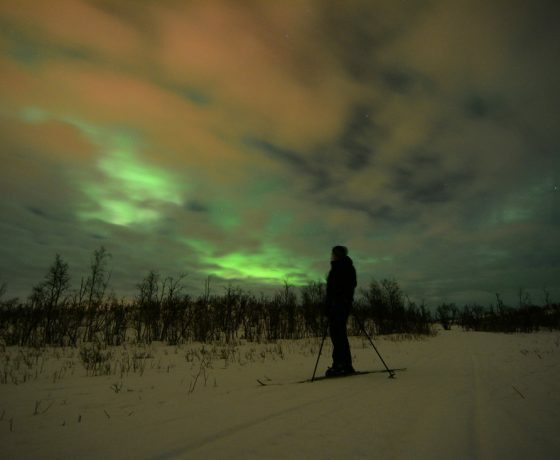 Due to its location, Nuorgam is one of the best places to view the Aurora Borealis (Northern Lights). There is zero light pollution and no clouds because of the cold weather. This makes it possible to see them on 60–70% of winter nights. All of our guides are experienced kitesurfers and wilderness survival experts with current first aid skills. You will get help or advice anytime you need it. If you are new to the sport, we will teach you everything you need to become a safe and independent kiter. 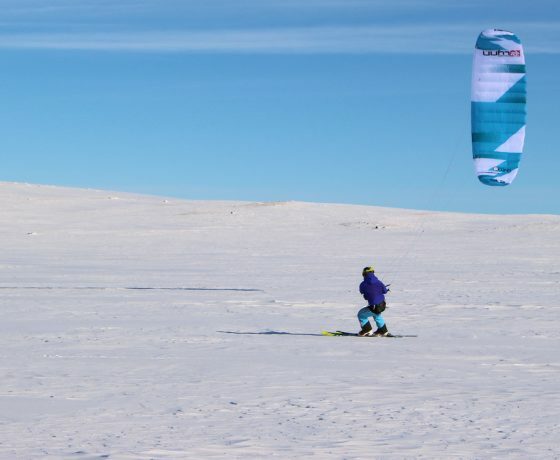 You will learn about equipment, safety, wind conditions and kiting – first the theory, followed by exercises with the kite in the snow. Our kite courses are designed for kiters of any level. Advanced kiters can kite on a wider area and do day trips to the mountain hills. At the end of the kite camp there is possibility to make one- or two-night kite expedition. 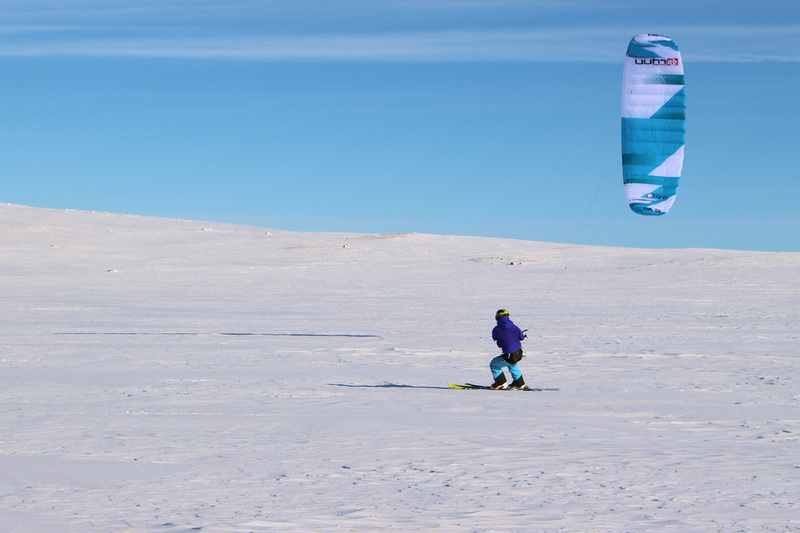 For snowkiting you can decide to bring your own kitesurf gear or rent Peter Lynn foil kites via us. Average needed is a 9/10m, but of course bring all sizes you have got. Further we always advice to bring your own snowboard / ski’s boots and helmet if you have one. Rental: A foil kite, harness, helmet. 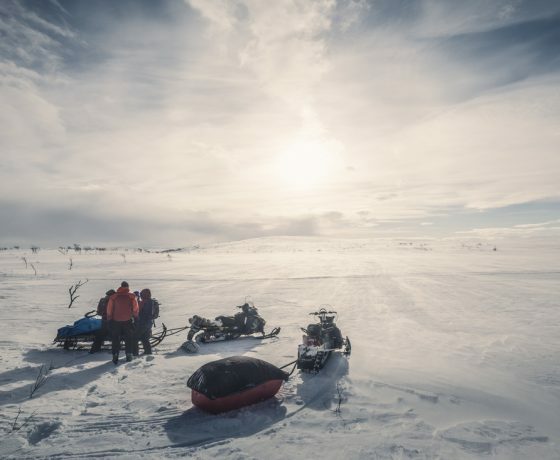 If the wind bails on us for a day, there’s plenty of other activities to keep you busy, and to help make the most out of your arctic adventure. All the gear for these days is free to use: skis, snowshoes, sleds, fatbikes, kicksleds. 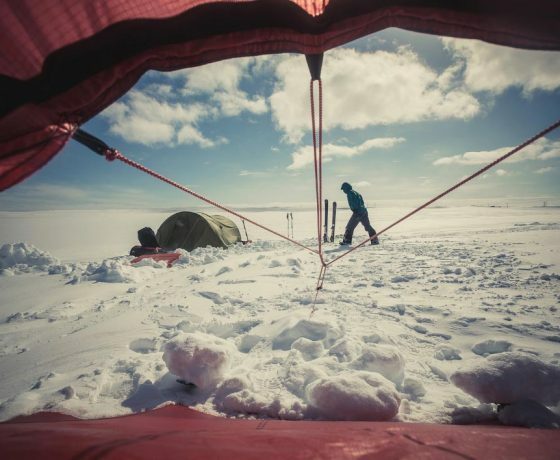 Although our snowkite camp is located basically in the middle of nowhere, it is surprisingly easy to get there. You just grab the flight booked by us from Amsterdam, no train, car rental or whatever needed. All you need to do is take the flight and we will take care of the rest. 3,5hours straight flight incl. 20kg luggage (€549,- worth).
! Don’t forget to reserve your boardbag in case you bring you own gear ! The 2019 crew will exsist of Paul, Maroean, Reeta and Hannu. Our guides are experienced kitesurfers and wilderness survival experts with current first aid skills. You will get help or advice anytime you need it. If you are new to the sport, we will teach you everything you need to become a safe and independent snow kiter. 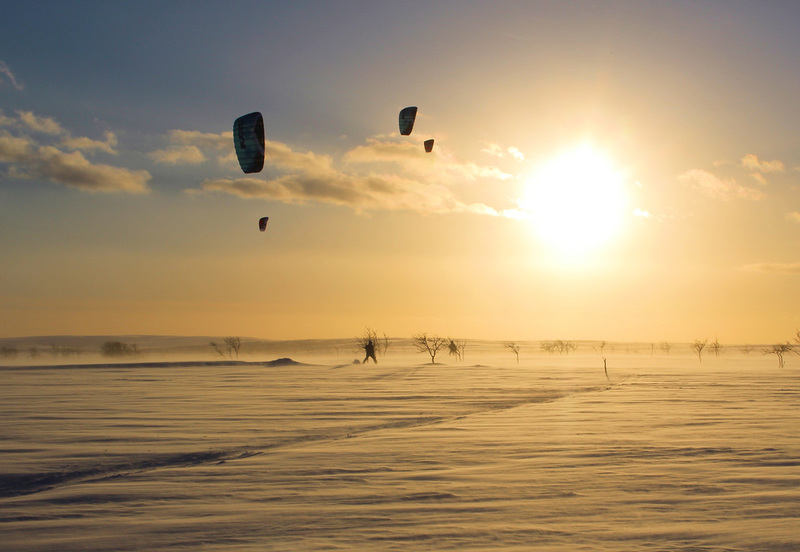 You will learn about equipment, safety, wind conditions and snowkiting. After this you can kite on a wider area and join us on day trips to the mountain hills. 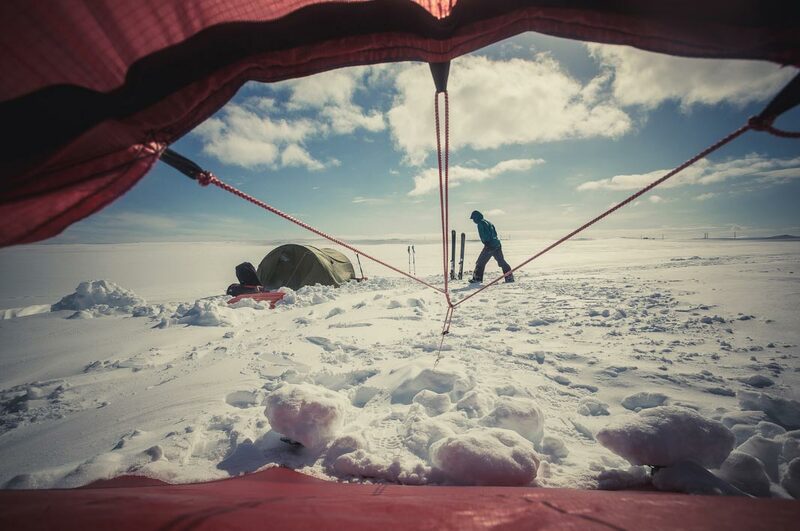 The itinerary of the snowkite camp is totally dependent on the weather so it’s tricky to make an exact plan. Here is a little idea of what you can expect per day. DAY 1: Paul & Maroean will meet you on the airpirt and Reeta will pick us up from the airport (Ivalo), after which we will make our way to the Karetörmä cottage. During the evening, we will check the weather forecasts and consider different route options. If you still need snacks, the local supermarket is just around the corner. The evening ends with a sauna and an evening meal. DAY 2: We will begin by familiarising ourselves with each piece of equipment and the emergency-release procedure for the kites, and go through what to do in special situations. 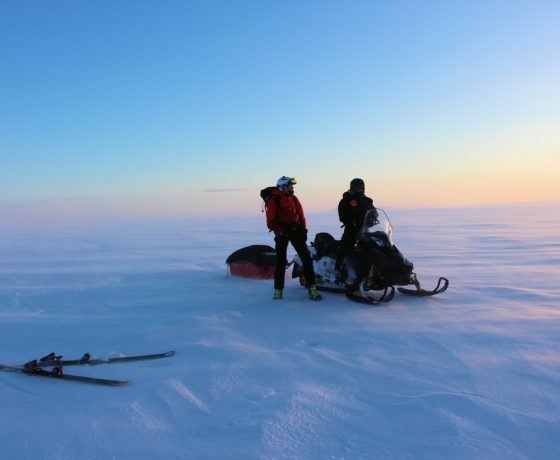 During the first expedition day, we will travel 10–30 km according to the strength and direction of the wind. 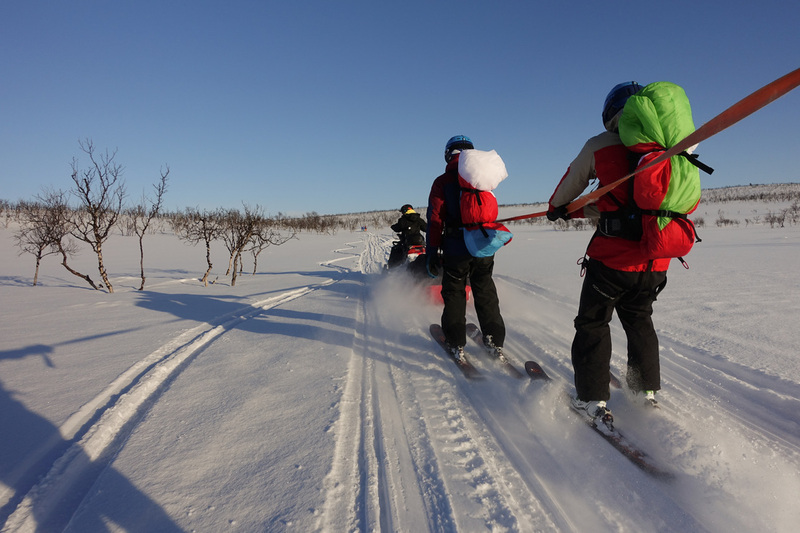 Depending on the route, we will stop for some ice fishing or for setting snares for willow grouse (only possible during March), and we will also visit an old reindeer round-up area. We will spend the night in either a wilderness cabin or in winter tents—hopefully under the Aurora Borealis (the northern lights). 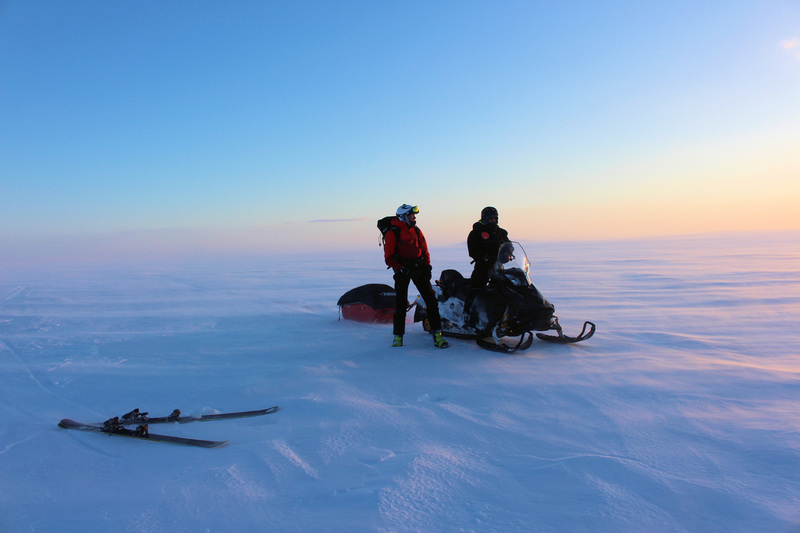 DAY 3: On the second day of the expedition, we will travel 30–50 km according to the strength and direction of the wind. 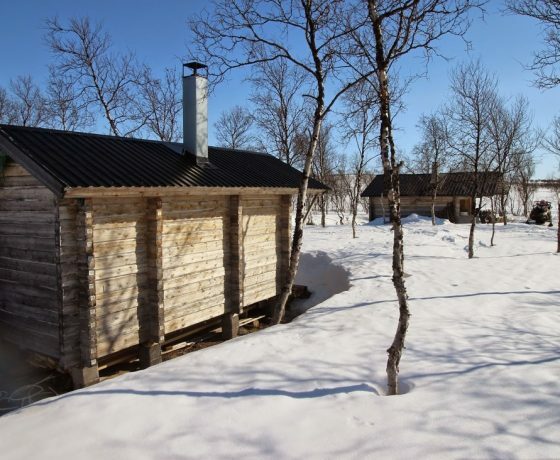 We will aim to end up at the cabin beside Riekkojärvi Lake, where the sauna will soothe those hard-worked muscles, and the bravest can try some snow bathing. 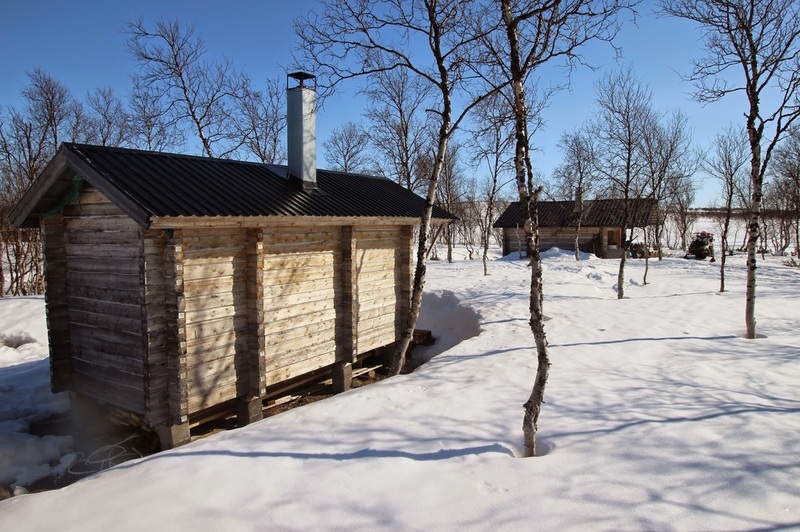 Using the cabin’s wood stove, we will prepare a reindeer dinner as well as smoked fish from our ice-fishing catch. DAY 4: Around 30-50 km kite skiing, depending on the direction and strength of the winds An opportunity to do some ice-fishing on a fell lake. DAY 5: We will trek 30–50 km according to the strength and direction of the wind, and stop to photograph places of interest. During the day, we will have the chance to go ice fishing. The evening’s program consists of learning arctic skills, such as fire-making without tools. DAY 6: Another full day of snowkite and discovering. For those who want to go for the full experience, there is an option to book a huski sled experience on this day. 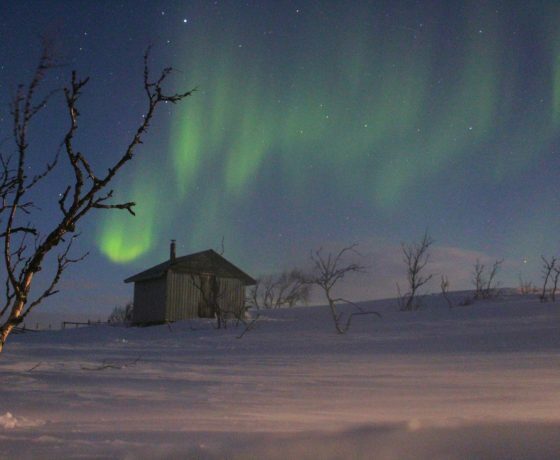 In the evening we will cook a delicious dinner together in the cottages and with a little luck chill out under the northern lights after a session in the sauna. DAY 7: Packing and return to the airport. On the way, we can visit the Sámi Museum Siida (in Inari).